It works to create texture from within to generate a thicker feel, root lift, and lasting volume over time. 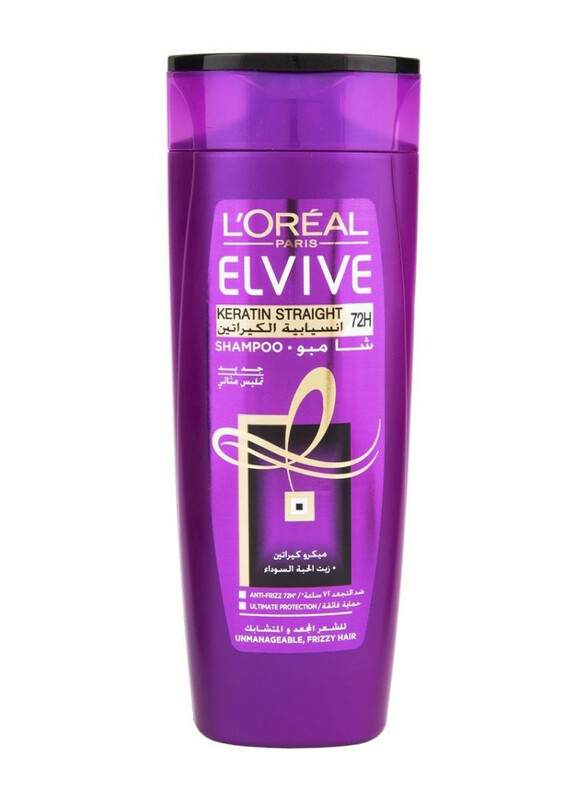 Loreal Elvive Keratin Straight Shampoo helps restore keratin and nourishes each strand to leave hair gorgeously straighter, shinier and more manageable. it controls frizz for up to 72 hours and transforms your hair to be gorgeously straighter, more manageable and easy to style.